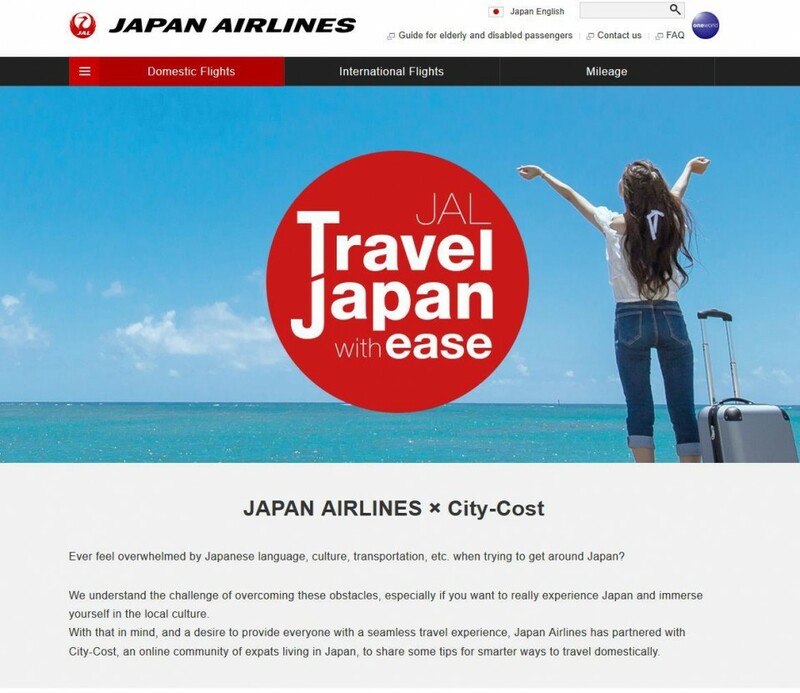 Japan Airlines (JAL) is collaborating with expat community platform City-Cost, as the airline looks to foreigners living in Japan to provide travelers with the best advice on enjoying a smoother travel experience in the country. 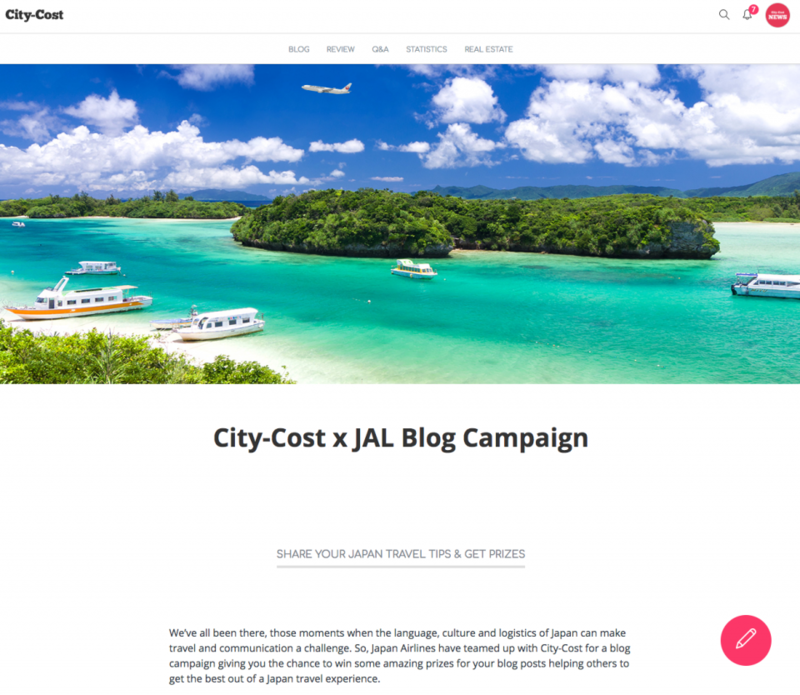 One aspect of the collaboration project, which launched in November, features a campaign to collate travel blog posts created by users of City-Cost -- foreigners living in Japan who the airline believes are best placed as a source of advice for potential foreign travelers, particularly when it comes to the challenges of overcoming linguistic and cultural barriers. "As the number of foreign residents in Japan continues to rise, we realize they have different travel needs from the average tourist visiting Japan. With the aim to be the most preferred airline in the world, we strive to provide seamless travel experiences, useful information and attractive promotions based on customers' voices," Stephanie Lau, a planning group supervisor in the airline’s online sales department, explained about the background initiating the project. Looking to identify gaps in Japan’s domestic tourism infrastructure, the collaboration also saw JAL conduct a survey through City-Cost targeting foreign travelers. Both the survey and blog campaign cover themes of travel across mainland Japan and Okinawa, where, in regards to the latter, additional support for the campaign is being provided by the “Okinawa Convention & Visitors Bureau” (OCVB). "Through this project, we expect to get an in-depth understanding of foreigners' preferences, enjoyable experiences, even difficulties faced during their travel in Japan, and improve our promotions and services to accommodate our customers’ needs," said Lau. All foreign residents of Japan are welcome to participate in the blog campaign by joining City-Cost. Those who submit posts will have a chance of winning prizes that include 20,000 JAL Mileage Bank (JMB) miles and a night for two at a beach resort in Okinawa. The blog campaign runs until February 28, 2018.